'I'm feeling much better now and on the mend,' the Rolling Stones singer says in a tweet. NEW YORK — A representative for Mick Jagger says he has successfully undergone treatment, though no details were provided. Jagger thanked his supporters and the hospital that treated him in a tweet Friday. “Thank you everyone for all your messages of support, I’m feeling much better now and on the mend – and also a huge thank you to all the hospital staff for doing a superb job,” he wrote. 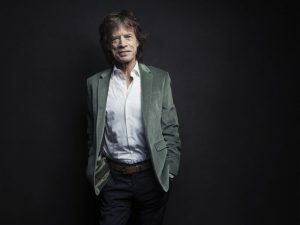 Last week the Rolling Stones announced they were postponing their latest tour so Jagger can receive medical treatment. The Stones’ No Filter Tour was expected to start April 20 in Miami.